When you think of 'test' you tend to think of school, right? Well, when it comes to a spiritual test, you wouldn't be far wrong to consider it in that light as long you take it as a fairly loose analogy. Obviously it's not a pencil and paper affair but a practical test, and it's going to take place in the schoolroom of life, rather than at any particular brick-and-mortar establishment. But the really key difference is that your pass or fail is going to be based more on what's going on inside you - the mastery of your emotions and your attunement with your Higher Self are going to play a big part in your ability to pass any spiritual test. What does a spiritual test look like? Spiritual tests come in every variety you can think of. There are big ones and small ones, day-to-day ones and life-changing ones. And a situation or circumstance that's being used as a test for one person is not necessarily a test for another person. Sometimes you may be able to feel or sense that you are being tested, though often I think it's easier for us to see it in hindsight ("Oh boy, I blew that test!" or "I handled that situation much better than I normally would have, maybe I finally passed that test!"). An example of a mundane test might be deciding whether or not to eat a piece of cake that's being offered to you. A life-changing test might be whether or not to get married, or divorced. The pass/fail is going to be very context-specific and only you (and God) will know what the "right" decision is for you at that moment. Why should I care about being tested? Spiritual tests can be given for different reasons. 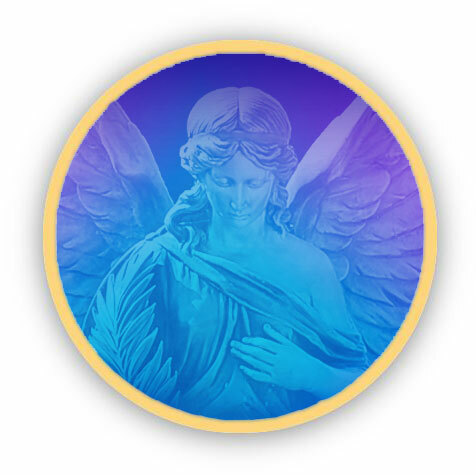 God or the spiritual guides may wish to see if you are ready to receive an extra increment of light (known as an initiation) to use in your work, and they need to know that you will not misuse that light. If you fail the test you will not receive the positive thrust that God wants to give you at that time. It may be a karmic test whereby you are being given an opportunity to re-experience a circumstance that you handled badly in the past (in this or a previous lifetime) so that you can choose to handle it differently this time around. If you fail the test, you not only fail to balance the negative karma from your past actions but you also add to your own negative karmic burden because of the way you misused your energies on this occasion. You will have to live through the same circumstance yet again at some point in the future, and if there isn't an opportunity in this lifetime, you'll have to re-embody in order to take care of that unfinished business (the accumulation of negative karma). This delays your soul even further from reaching your ultimate goal - the ascension. How can I be sure to pass my spiritual tests? I think the most common time for us to fail a test is when we don't recognise that we're being tested until it's too late. So one way to victory is to assume that every decision that you make, every person you interact with, even every thought that you think, is in some way contributing to a spiritual test and act accordingly. Another common reason for not passing our tests is simply being out of alignment with God and our own soul and Higher Self. When we take the time to establish our attunement with God every day through prayer, meditation or other spiritual devotions, we're much more likely to pick up on what God's will is for us in any given situation and we'll also be in a more willing state of mind to "do the right thing". Anything else I should know about spiritual tests? There are a few key times in the year when it helps to be especially mindful of being tested and these are around the time of winter solstice and summer solstice, and also in the weeks leading up to your birthday. These are occasions when each soul is tested in preparation for the next 6 or 12 month cycle, and they can often be intense and challenging periods of time. The most important thing to do around these times is to focus on keeping your harmony. If you are in a state of harmony and peace, you cannot go far wrong. Meditation and decrees are particularly important at these times. Passing our spiritual tests is a big part of making progress on a spiritual path and in life generally. The ascended master Saint Germain has told us that he reached his ascension by making two million right decisions. Many of them probably seemed quite small, but they all contributed to his eventual victory in the light. Having said that, don't get hung up on the times when you suspect you failed a test. It happens to us all and I'm certain it happened for Saint Germain too. Forgive yourself, ask God for forgiveness, invoke the violet flame of transmutation through decrees, and prepare for the next opportunity. God is merciful and life is full of opportunity if we are open to it. In fact, along with freewill, I think opportunity is one of the greatest gifts God gives us.